Eyes are often romanticized for their beautiful and unique colors, but it turns out that eye color is actually important for reasons beyond aesthetic ones. Studies have discovered that you can actually predict health risks based on your eye color. 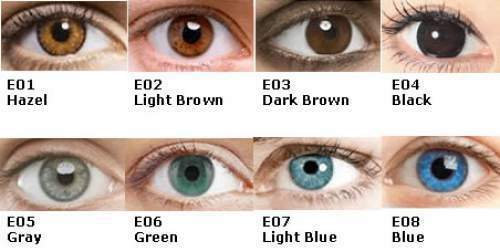 While it is somewhat normal for the whites of your eyes to change color, a sudden change can be a sign that something is wrong. Red eyes can often be caused by allergies while yellowing eyes can be a sign of liver problems. If your actual iris has changed color, you could have conditions such as a melanoma of the iris or neurofibromatosis. Age-related macular degeneration is a common reason for vision loss after the age of 50. Recent studies have shown that having light colored eyes can double your risk for macular degeneration. It is unclear if this correlation is because Caucasians are more likely to have age-related macular degeneration in the first place or because less pigmented eyes do not protect you from harmful UV rays as well as dark eyes do. The American Pain Society has recently discovered that women who have light eyes seem to be able to withstand pain better than women with dark eyes. After giving birth, women with light eyes had less anxiety and sleep disturbances due to pain. Though the findings are too recent to be well-researched, doctors believe that there may be some genetic link between having light eyes and tolerating pain. Having black or brown eyes is actually linked to your alcohol tolerance levels. According to a study by Personality and Individual Differences, people with dark eyes feel the effects of alcohol and other drugs faster than people with light eyes. This means that dark eyed people tend to drink less than others, since they have a higher sensitivity, and they usually get inebriated faster. Melanomas and other skin cancers are more common in people who have blue eyes. This is not just because people with blue eyes tend to have paler skin that offers less protection against the sun. The genes that help to cause blue eyes, genes TYR and OCA2, both affect the immune system. People with blue eyes tend to have less reactive immune systems, so their bodies are not as good at detecting and destroying cancerous cells. Vitiligo is an autoimmune disease that causes the skin to lose pigment in blotches. As the previous paragraph stated, the gene variants that prevent an overactive immune system are linked to blue eyes. This means that people with brown, hazel, or green eyes are more likely to have an immune system that acts up and causes vitiligo. In 2000, a study by the American Journal of Ophthalmology discovered that people who have dark eyes have a 1.5 to 2.5 higher chance of getting cataracts. Cataracts are a common age-related vision problem that results in cloudy eyes and a loss of vision. Dark eyes may increase the risk of cataracts because dark colors tend to absorb UV rays instead of reflecting them. Though your eye color is definitely related to your health, keep in mind that genetics is a very tricky subject. You may be more likely to develop certain conditions if you have a particular eye color, but it is not an absolute certainty. However, if your eye color indicates that you have a high risk for a medical problem, it may be helpful to remain alert for any symptoms that could indicate an issue.